A successful weight loss regimen has a sound scientific base, and a combination of authentic medical-nutritional knowledge, experience, intuition and clinical judgement defines the "art of weight management". The so-called self- proclaimed weight loss experts mislead and screw many cases, and their learning from Dr Google has no credibility to rely on. Weight loss products is a billion dollars business and it lures everyone or company to formulate some sort of products. When a weight loss practitioner does not have the knowledge and skill to lead someone scientifically, they would use any weapons they have or know of it to generate some results. This gives result to using certain products. Recently, consuming Chinese herbal products for losing weight is on the rise. One of the ingredients in Chinese weight loss products is "aristolochic acid". It is a very dangerous substance that could lead to significant damage to the kidneys and many cases have been reported. The kidney damage from aristolochic acid is called "Chinese herbal nephropathy" in medicine, as it was first described in a young woman who was taking Chinese herbal preparations as a part of her weight loss regimen. Aristolochic acid is extracted from the plant aristolochia. In Chinese medicine, it is used for acute arthritis, edema and weight loss. There are substantial evidences that not only can aristolochic acid cause kidney damages, but also it increases the risk of bladder and ureter cancers dramatically. The following Chinese herbal products may contain an extract of aristolochia or its toxic derivative aristolochic acid: Akebia, Chinese Clematis, Mu Tong, Sinomenium, Stephania adaptogen and Chinese Vladimira. 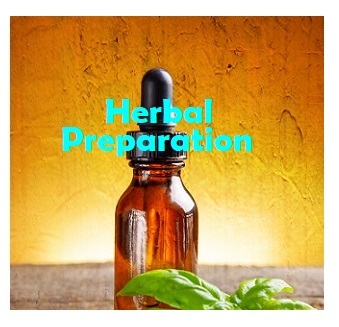 1) If you are planning to take any Chinese herbal preparations for weight loss, first discuss it with a reliable health care practitioner who possesses sufficient knowledge about weight loss products. 2) When buying any weight loss products, check the ingredients for "aristolochic acid". 3) When buying any Chinese botanical products for any health concerns, check the ingredients for "aristolochia extract" or "aristolochic acid". 4) Never buy a weight loss product just by getting the information from Dr Google. 5) Always consult a reliable source about the product(s) you are about to consume. Your health is your golden treasure and you should take care of it in the best way possible.